Fandango, the ultimate digital network for all things movies, surveyed more than 8,000 moviegoers about the films, stars and characters they are most looking forward to seeing on the big screen in the new year. As part of its annual online survey, Fandango polled moviegoers from December 18 through December 26, 2017 on their top film picks for 2018. The final results are listed below, with Marvel Studios landing the top two spots, with Avengers: Infinity War named the most anticipated movie of 2018, just days after it won the same title from IMDB users, with Marvel's Black Panther coming in second place. Here's what Fandango Managing Editor Erik Davis had to say in a statement. "The new year promises a lot of excitement at the multiplex, but fans are particularly looking forward to Marvel's Avengers: Infinity War and Black Panther, which boasts a groundbreaking ensemble and promises to be one of the most talked-about movies of 2018. These two films ruled our survey results, with Panther cast members Chadwick Boseman, Michael B. Jordan, Danai Gurira, and Winston Duke figuring prominently in each survey category. 2018 looks to offer fresh takes, new and diverse voices, and beloved characters fans can't wait to see back on the big screen again." Rounding out the top 10 for the most anticipated movies of the year are Jurassic World: Fallen Kingdom (June 22) in third place, followed by Deadpool 2 (June 1) in fourth place and the controversial Solo: A Star Wars Story (May 25) rounding out the top 5. Many are still wondering if Solo: A Star Wars Story will be pushed from its May 25 date to a December 2018 date, since Han Solo production wrapped just a few months ago, following extensive reshoots by new director Ron Howard, who was brought in to replace fired directors Phil Lord and Chris Miller. The top 10 is rounded out by Incredibles 2 (June 15), Fantastic Beasts: The Crimes of Grindelwald (November 16), A Wrinkle in Time (March 9), X-Men: Dark Phoenix (November 2) and Ocean's 8 (June 8). Fandango users were also polled on a number of other topics, including "Fan Favorite Actress," with Scarlett Johansson topping this poll, with two major movies coming out this year, Marvel's Avengers: Infinity War and the Fox Searchlight animated feature Isle of Dogs from director Wes Anderson. Scarlett Johansson is followed by X-Men: Dark Phoenix and Red Sparrow star Jennifer Lawrence, Avengers: Infinity War star Zoe Saldana, Ocean's 8 star Sandra Bullock and Solo: A Star Wars Story star Emilia Clarke. On the Fan Favorite Actor side, Chris Pratt took the top spot for his roles in Avengers: Infinity War and Jurassic World: Fallen Kingdom, followed by Deadpool 2 star Ryan Reynolds, Avengers: Infinity War stars Robert Downey Jr. and Chris Evans and Skyscraper and Rampage star Dwayne Johnson. Black Panther star Danai Gurira topped the Rising Female Movie Star list, ahead of A Wrinkle in Time star Storm Reid, Deadpool 2 star Zazie Beetz, Thoroughbreds and Ready Player One star Olivia Cooke and Mary Poppins Returns star Pixie Davies. The Rising Male Movie Star poll was topped by Solo: A Star Wars Story star Alden Ehrenreich, Black Panther and Avengers: Infinity War star Winston Duke, Ready Player One and X-Men: Dark Phoenix star Tye Sheridan, A Wrinkle In Time star Levi Miller and The New Mutants star Charlie Heaton. The Most Anticipated Comic Book Character in a Standalone Movie poll was topped by Black Panther star Chadwick Boseman, followed by Aquaman star Jason Momoa, Venom star Tom Hardy, X-Men: Dark Phoenix star Sophie Turner and Ant-Man and the Wasp star Evangeline Lilly. 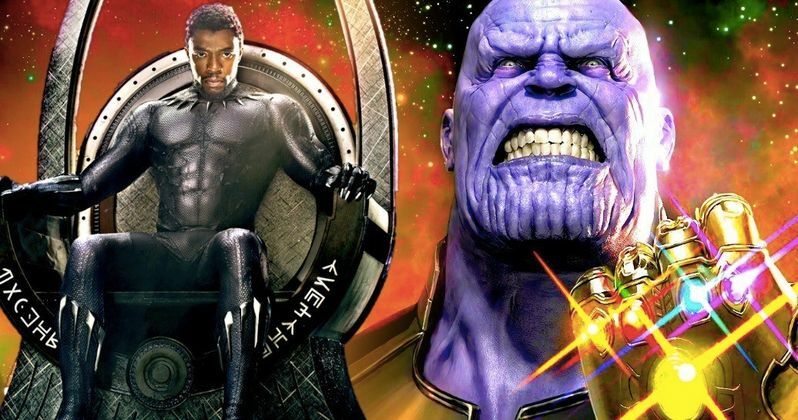 Josh Brolin topped the Most Anticipated Movie Villain poll for Avengers: Infinity War, followed by Johnny Depp for Fantastic Beasts: The Crimes of Grindelwald, Michael B. Jordan for Black Panther, Jessica Chastain for X-Men: Dark Phoenix and Nick Castle for Halloween. The Fandango moviegoers were also asked what their Most Anticipated Horror Thriller was, with the Untitled Cloverfield Movie coming out on top, followed by the Halloween reboot, The Purge: The Island, Insidious: The Last Key and A Quiet Place. The final poll was for Most Anticipated Family Movie, which was won by Incredibles 2, followed by A Wrinkle in Time, Mary Poppins Returns, Ralph Breaks the Internet: Wreck-It Ralph 2 and Hotel Transylvania 3: Summer Vacation. We'll have to wait and see if these Fandango users have been able to pick the biggest hits of the year in 2018.